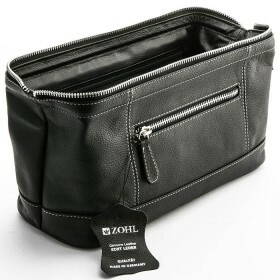 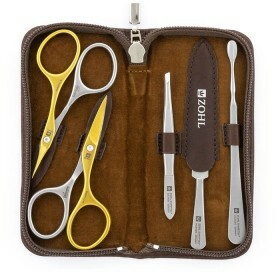 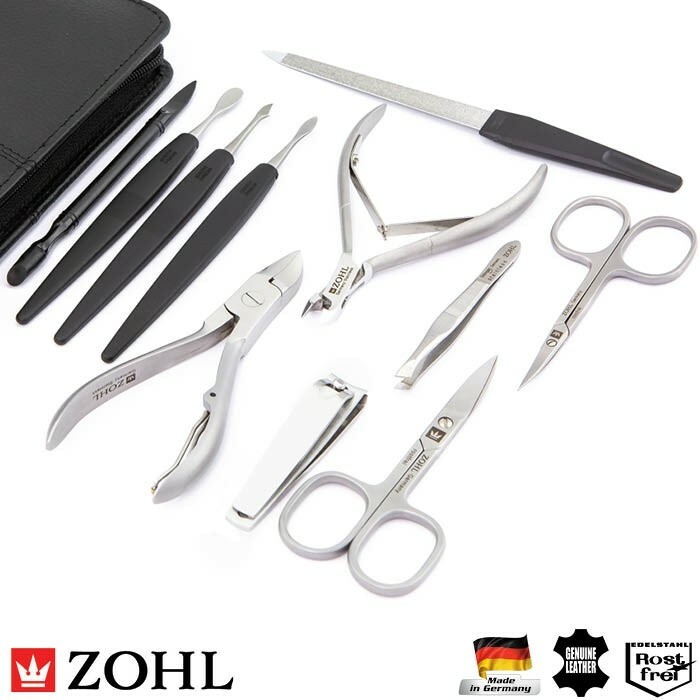 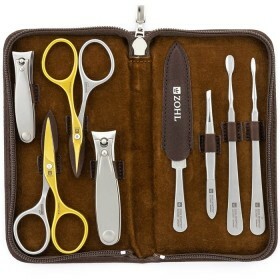 Enjoy beautiful fingernails and toenails with ZOHL professional manicure and pedicure set made in Germany. 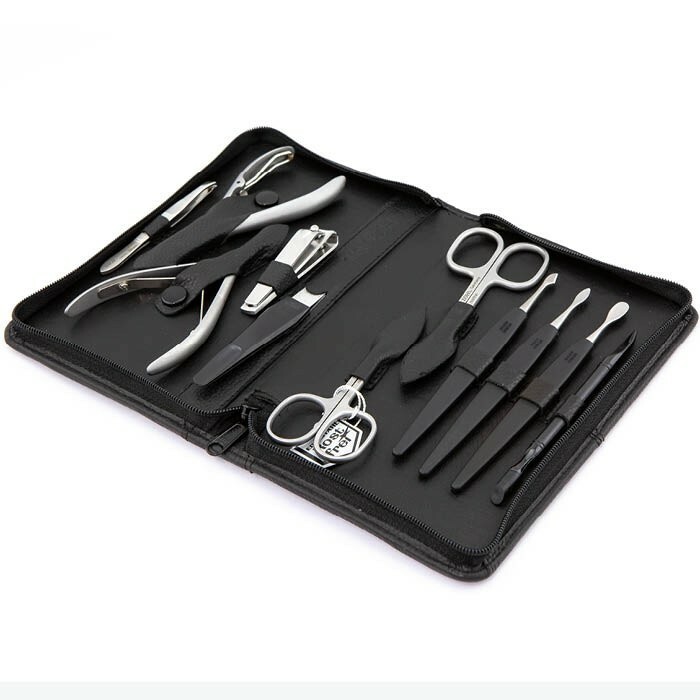 Complete with 11 high quality nail instruments, it is a perfect kit to bring to the salon to ensure exclusive use on your nails, or use for DIY home manicure and pedicure. 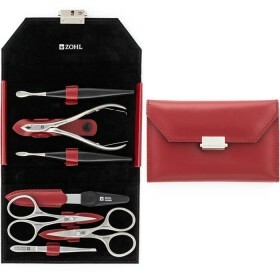 Sharp cuticle nipper, strong toenail cutter for thick and touch toenails, nail clipper, 2 pairs of quality manicure scissors plus a range of detailing tools – Maxi has everything you ever need for your nail care. 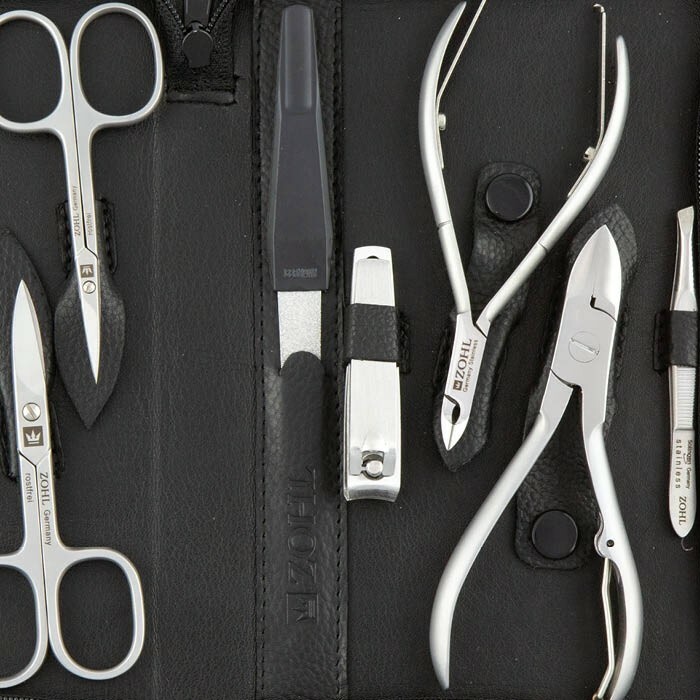 The tools are made from INOX stainless steel with a perfectly sharpened cutting edge that gives you lasting service without any need of re-sharpening. 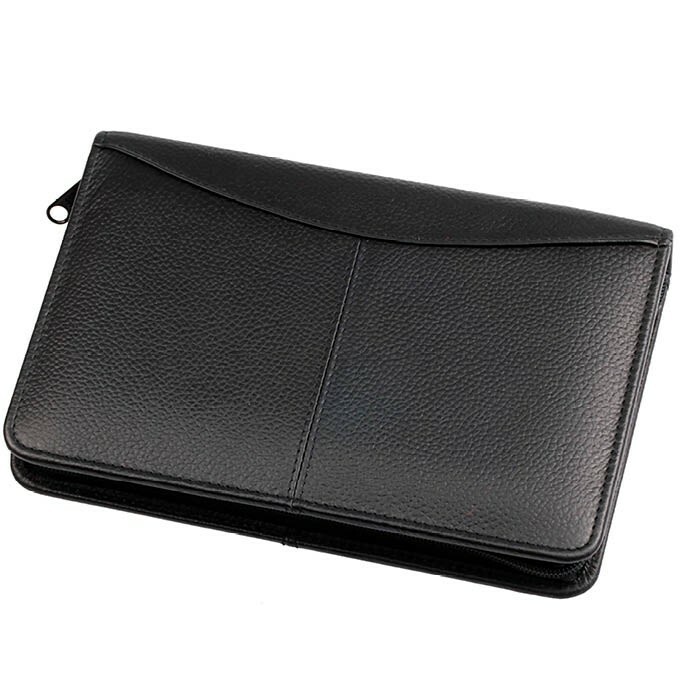 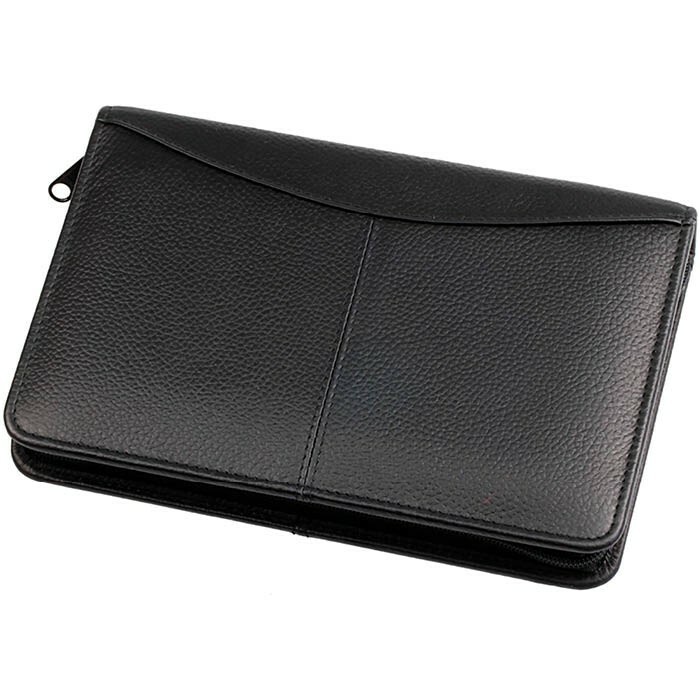 Black zip case, made of genuine leather, highlights enduring quality of the set and makes a perfect gift for men and women on any occasion: Christmas, Birthday, Mother's or Father's Day. 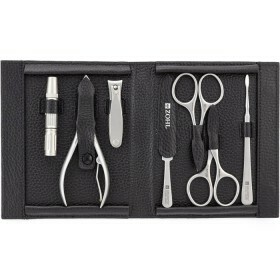 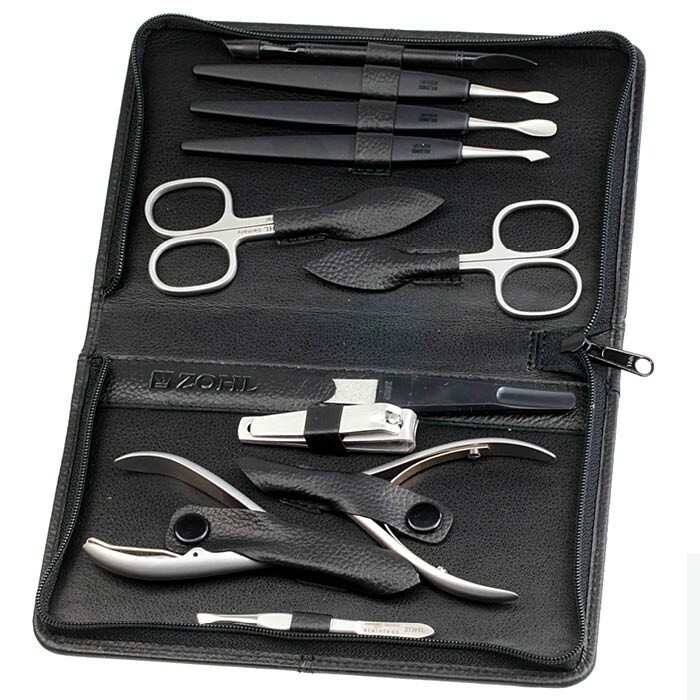 Maxi manicure set includes a full collection of stainless steel manicure and pedicure instruments. 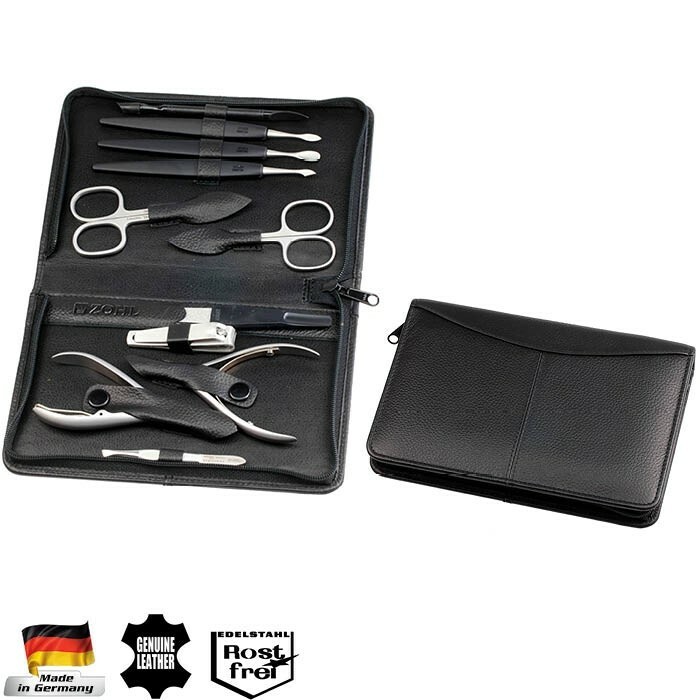 And what can be better than having a complete manicure set, to take care of every part of your nail with specialised tools? 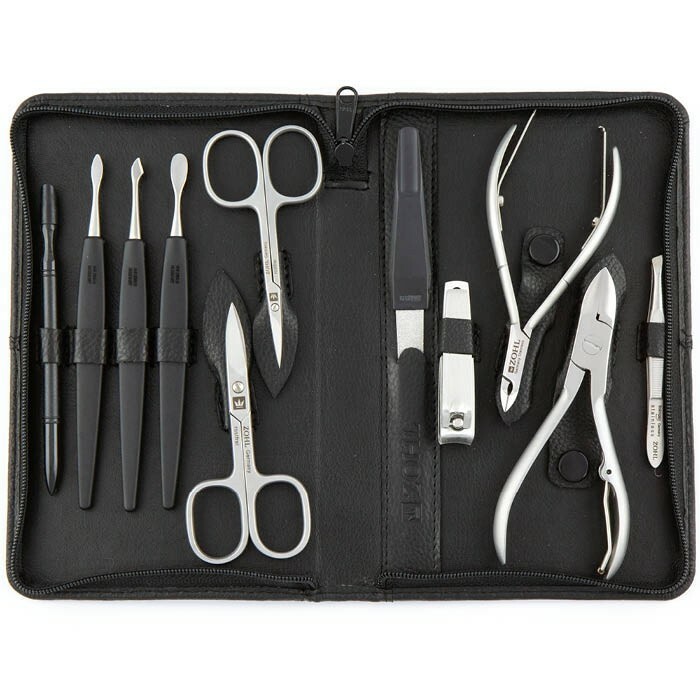 Cuticle nippers and scissors – for delicate skin and cuticles, nail scissors and nippers – for precise trimming of finger- and toenails, and the range of tools for nail detailing and smoothening. 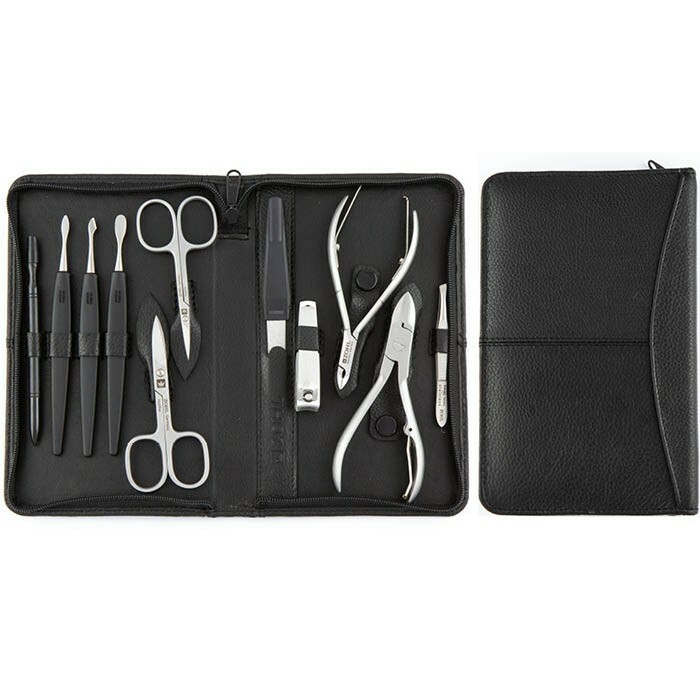 Maxi manicure pedicure set will please you with a selection of high quality nail care tools, so you have your manicure and pedicure needs sorted – with one convenient set. 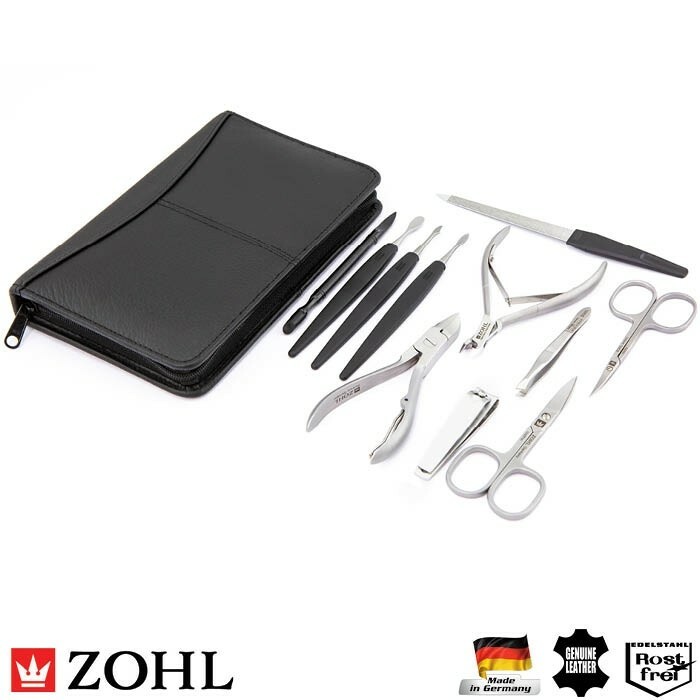 The black leather case, made of cow nappa, protects your implements with a sturdy zipper and adds an effective look, making a beautiful German gift for men and women who value high quality tools for personal care.